Probably a month back or so, I got to meet up with the boss lady, Joanna, behind Goodmallows and we had a fabulous time chatting. Plus, it never hurts to be given a giant bag full of marshmallows!!!! I got to sample the two Valentine's Day flavours - the spicy cinnamon heart and a sweet aromatic chocolate rose - as well as a couple of Goodmallow's regular flavours. She is an artist because the amount of depth she is able to create with each flavour is astonishing! Many have become accustomed to the chemical laden mass produced marshmallows from the super market, but they are a part of our childhood. Who does not remember roasting marshmallows on a stick over a fire or making sticky rice crispy squares at home? Unfortunately, marshmallows have got quite the terrible reputation because of their infinite shelf life and chemical flavour, but marshmallows were once, and still are in a few towns, a delicacy of France. Goodmallows is working hard to bring the rich culture from France to Vancouver by using no artificial colours, flavours and chemicals. Thank you Goodmallows for helping us relive our childhood with a DELICIOUS mallow! Goodmallows keep it simple, that even a child can understand the ingredients. These gluten-free goodies are made with organic cane sugar, Canadian honey (in place of corn syrup), grass fed bovine gelatine (a health product that is good for your gut and teeth! ), sea salt and all natural flavouring. When possible, organic ingredients are used making these squishy treats 70% organic. Goodmallows also strives to use as many locally sourced ingredients such as Karla's Specialities in Abbotsford for tea. The care and quality that goes into each batch is the reason why their marshmallows are packed full of flavour. 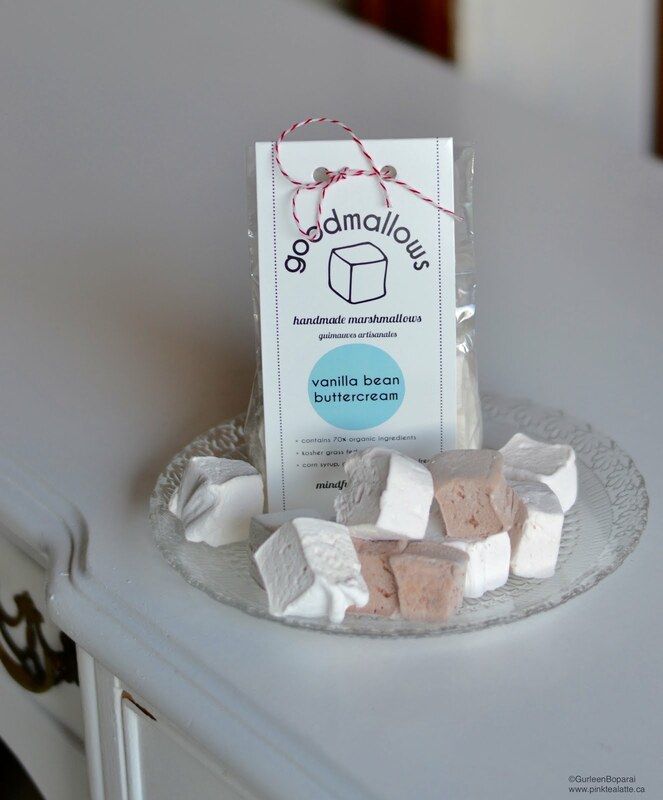 Since the marshmallows are preservative free, every flavour is made small batch and cut by hand by Joanna herself! The best part about being a small company is that Joanna gets to try out a whole wackload of flavours and loves taking inspiration from the huge ice cream community in Vancouver. Fingers crossed for a Mango Mallow sooooooonnnn! Joanna is working to create a marshmallow with a lower glycemic index in the future, but there is still a long road of trial and error ahead of her. 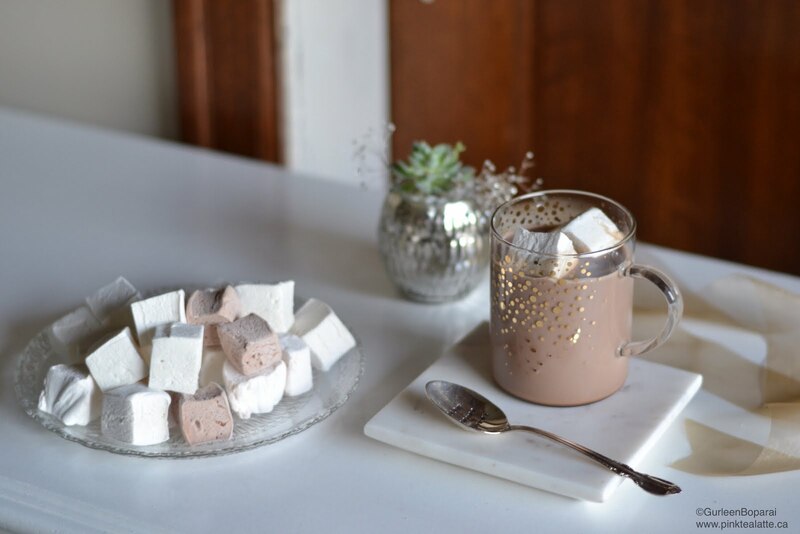 Because these are gourmet marshmallows for our "sophisticated" adult palates, we need to take it to the next level when enjoying a goodmallow! Joanna likes to whip out her kitchen blowtorch to lightly toast the outside of the mallows bringing the s'mores (aka s'moremet of course) game to a WHOLE NEW LEVEL. Or sandwich a chocolate Goodmallow between two ruffled Salt & Pepper Kettlechips for the ultimate sweet & salty crunchy goodness. 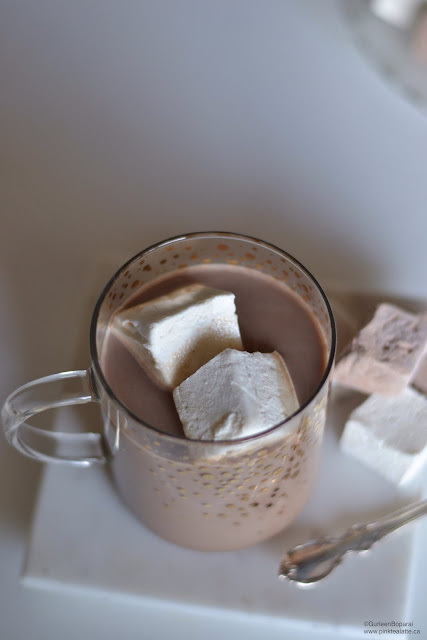 Or, plop a mallow in your morning coffee, a substitute for coffee and sugar hehe. Do keep your eyes out for their new spring flavours, a Salted Honey Lavender --- Yaasss! And if the marshmallow god's are with Joanna, she hopes to release a Creme Egg Mallow for Easter! Lastly, Joanna hopes to bring the marshmallow back to its former glory of deliciousness. She loves receiving sample feedback because the reactions are always the best! "Even when people learn they're marshmallows, we often get this suspicious look, thinking they'll just be another chemically marshmallow...and then they taste it, and we usually get one of two expressions: the eyebrow lift of surprise ("Oh, that's actually quite tasty! "), or, my personal favourite, the shut-eyed indulgent moment of bliss ("yessssssss")"
This is the end of my Goodmallow post! I think I am going to try some recipes with Goodmallows in the future. Maybe some chocolate Goodmallow mug cakes or Chocolate Goodmallow rice crispies! Please let me know in the comments below if you would be interested in that! I really love supporting local Vancouver-based companies that strive for quality over quantity. As well, with the food market over-run with chemical based preservative-laden food, it is always exciting to find a truly natural product hehe!